ABP-based Growth Capital Ventures has joined forces with Finance Durham Fund Managers, Maven Capital Partners, to offer financial advice and support to businesses like yours. North East business? Looking for funding or support to achieve your growth plans? Can you pitch your business/idea in 60 seconds? 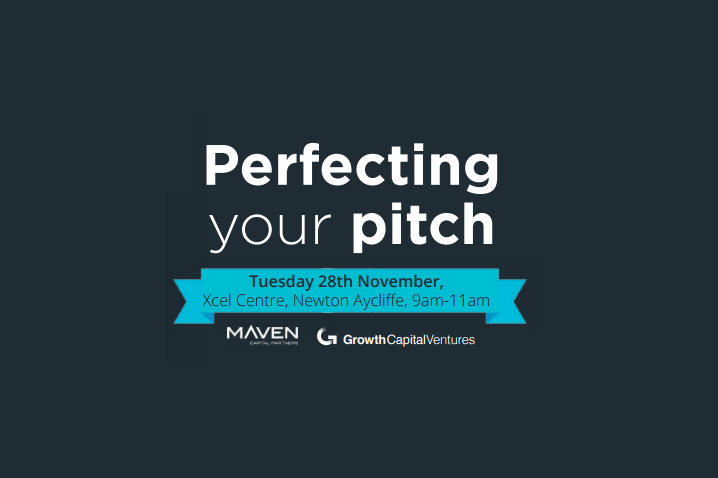 Join Maven Capital Partners and Growth Capital Ventures on the 28th November at the Xcel Centre for a roundtable pitch event, ‘Perfect your Pitch’. You’ll have 60 seconds to pitch your business to our local investment team alongside other likeminded entrepreneurs looking for support to grow. Are you a growing business based in County Durham? Looking for funding to achieve your growth plans? Our aim is to give local entrepreneurs like you a platform for the continued growth of your business, and equip you with the right knowledge and know how to take your next steps towards growth. Find out more about ‘Perfect your Pitch’ via our Events page. The team at Maven Capital Partners are also hosting a number of Venture Investment Clinics – by appointment only – on Wednesday 6th December, from 9am – 5pm at Growth Capital Ventures, based at 15 Welbury Way, on the business park. If you’d like to book an appointment for one of these clinics, please contact Emma Neal on 0191 731 8596.